Diversity is a force multiplier for our armed forces as well as for our nation. 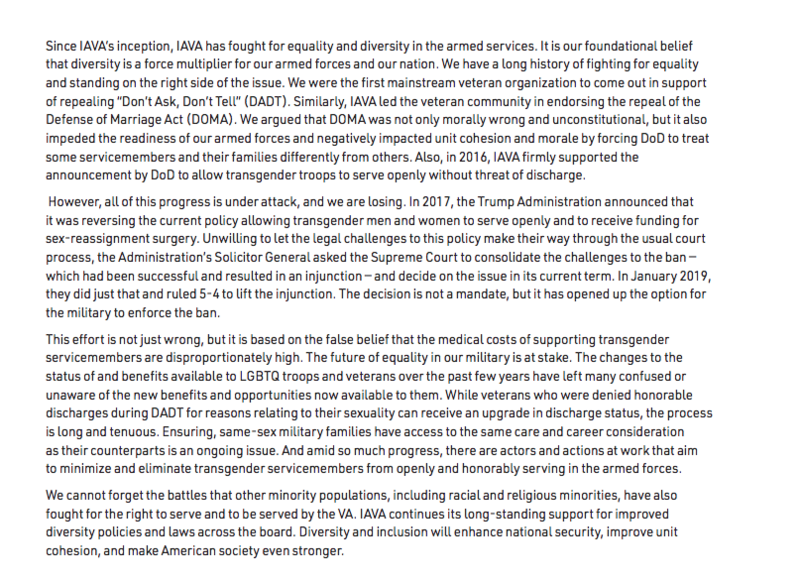 As a next-generation veterans empowerment, advocacy and support organization, IAVA is proud of its record of standing on the right side of equality issues within the Departments of Veterans Affairs (VA) and Defense (DoD). 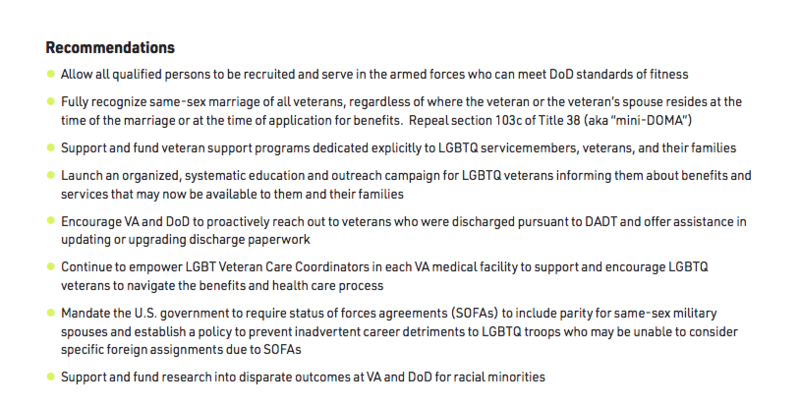 IAVA will continue working to ensure that our nation maintains the best and most qualified force possible and that all veterans are properly honored by our nation and served by the VA.
See more about IAVA’s position on the Department of Defense’s transgender policy here.